As I mentioned in a post yesterday, FCC approval is never something we should take as a sure thing for T-Mobile availability, but we’ve waited on this one in particular. One of the biggest arguments against a T-Mobile release for the Moto X was the idea that models for Sprint, Verizon and AT&T had already been approved. Well, here’s a T-Mobile compatible model, known as XT1053 with AWS HSPA+ and LTE. 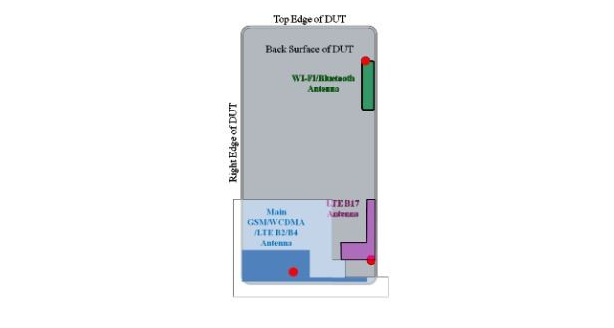 There’s also compatibility with bands 2 and 17 as well, making AT&T connectivity theoretically possible as well — but a model destined for AT&T passed through the FCC some time ago. The good news? The worst case scenario is that T-Mobile chooses not to carry the device on their store shelves and leaves us to pick up unlocked models. With the knowledge that unlocked models will be fully compatible, it’s a nice trade-off should the “worst-case” scenario play out. If you’re keeping score, that’s one rumor for a T-Mobile arrival, one rumor against and one FCC appearance. Waiting on this phone. Can’t remember the last time I had a phone for as long as I’ve had my N4. It’s been treating me pretty good but needs a change and this looks to be the one. Big specs doesn’t cut it for so as sd card, so I’m fine right there. I bet this is the model that Google sells through the Play Store. You may be right man but I hope not. I really want carrier branded phone. I need wifi calling and bloatware in my opinion isn’t as big a deal as people make it out to be. I really hope it is. I’ll be getting it for sure if it is. Nope, this is through Moto, not Google. And yes I know who owns who but the companies are operating as seperate entities with Moto getting the same deals as given to other manufacturers. There is a reason why Guy K was hired for Moto, not Google. I’m pretty sure it will be available through the Play store. That’s where your supposed to be able to customize it with colors and engravings and whatever else they offer. You can’t do that ordering from the carriers. The article about T-Mobile not getting it seems kind of flimsy. Even in your article you mentioned how it’s just speculation “The site speculates that because T-Mobile already carries the Nexus 4, it has yet to complete a deal with Motorola.” The Nexus 4 should have nothing to do with if T-Mobile gets this phone or not and how does this “source” know about a deal or not? I think it would be very weird for T-Mobile not to carry the X. You just love busting Davids balls huh? Heck yeah! I love e my Nexus 4 but the lack of wifi calling makes me want a new phone. I’m going to seriously consider this phone now. I hope it had HD VOICE that would be awesome. GET a Goole voice or bobsled or viber and talk all you want thru WIFI! I have Google voice but don’t wanna use viber or bobsled because they make you give them your Google password. Thought you were going to research this and test it out? the n4 does have HD voice. you can clearly tell the difference. tmobile wifi calling is the only feature id want on a nexus device thats considered “bloat.” if they could make it an app in the play store thats all we would need. All I want and need is full T-Mobile compatibility. I don’t need their stores to carry it and even if they did, it’d likely be what happened with the Nexus 4 – it would be priced over what Google/Motorola would sell for directly. Also, I can’t see how carriers will offer a wide variety of customization that the phone is said to have. Maxx has GSM/HSPA radios. But @SSes over at Verizon explicitly locks out US GSM Carriers. This was the case for last year’s Maxx. There is a hack to get to work though. I wonder if a hack to enable T-Mobile’s WI-FI Calling would be possible as well. The Moto X is a downgrade from the S4. “downgrade” is subjective. I would never want a phone the size of the S4 or with the over saturated colors. The specs are high, but it has too many gimmicky features with a poor touchwiz interface. User experience is most important, of course. I think the Moto X will offer much to someone of my needs and tastes. If T-Mobile doesn’t put this phone on its shelf, we are then gonna buy it unlocked, comes with no T-mobile software or logo on the phone, even better. Except for people who may not be able to pay all upfront depending on price. I’m curious if there will be a new Lte Nexus phone on the future and how that would differ from this one. What makes this Moto so desirable? I’m an employee and I can tell you for sure that it will be released on TMO. Take it for what you will. LOL who the hell would downvote that comment? Moto X is not a Nexus so expect carrier branding. Usually only AT&T and Verizon do the branding on the front, not always but most of the time T-Mo has it on the back. Those 9to5 guys swear Google is going to leave their #1 choice Carrier w/o this phone! Moto has to play good with TMo now that Google calls the shots. If sold through google play store I wonder if it will gave wifi calling? This is the deciding factor for me. I’ve been waiting for a decent Moto phone mainly because Motorola phones traditionally had good radios. My old Moto feature phone can pick up T-Mo signals with 4-5 bars where my HTC Amaze 4G gets none. Not to mention other Amaze radio issues. I noticed HTC One already needed to get a fix for some reception issues, too. That, and the quick end-of-life-ing is why I would never buy another phone from HTC. If this Moto X has the European UMTS bands built in along the American ones, I’ll be a buyer. Now that’s a surprise! Maybe I should go for a Samsung phone then, huh? I wish WiFi calling was integrated on these devices. I don’t consider that bloatware. It’s still a surprise to me that tmobile can’t include this as an app. I’m sure we’ll get a tmobile branded variant eventually — probably at a $150 mark up over the google play store. I don’t know why they don’t have an app either. They have these other useless apps in the market, and the Wi-Fi app would obviously only be compatible with a T-Mobile SIM and plan anyway, so it’s not like anyone could take advantage of it. Too many people are letting wifi calling be a factor to whether or not they’re buying a phone. Google voice and VoIP app (i.e. viber, talkatone, etc) is the equivalent. So if Tmobile sells this phone at a $100 mark up from the unlocked version you’re willing to pay that for Tmobiles wifi calling app? No thanks. Who here is actually planning on getting the moto x? If not what phone are you waiting on or currently keeping? I wanted the Moto X but the latest images show it using a nanoSIM. I was hoping to swap the sim card in my Nexus 4 and use the Moto X as my primary and the Nexus 4 as a backup. I don’t get good service in the building where I work and thought maybe the dual antennas on the Moto X might remedy that. Looks like I’ll just be sticking with the Nexus 4. Dual antennas? Haven’t heard of this. Can you provide a source? I’d like to learn more. Thanks! I read more about it and the dual antennas definitely make this phone more enticing! I’m gonna either get the Moto X or the HTC One Mini. The X is slightly smaller and therefore more pocketable, yet possibly with the same screen size; dual antennas could be a deciding factor for me; and I hope since it’s now a part of Google, OS updates will come to it first, along with Nexus devices. What I like about the HTC One Mini: front facing dual stereo speakers, Zoe camera feature, quick shutter speed and excellent low light capability, CPU speed and smoothness. It remains to be seen what exactly the Moto X has to offer and when either of these devices will be offered on Tmobile or unlocked. This phone sounds awesome. Anyone else following the event?